Recycle. Go Green. Save the planet. These are but a few of the buzz words trending on our news channels and social media platforms today. What do they really mean? Is the state of our planet really that severe or are these words simply trendy? A simple Google search reveals that we are, in fact, in trouble. Scary statistics – including the fact that we lose approximately 18 million acres of forest every year, or the fact that the carbon dioxide levels in the Earth’s atmosphere are the highest they have been in 800 000 years – paint a fairly grim picture of our future here on planet earth. Cause for alarm? Indeed. So how do we respond to this looming disaster? What does this Going Green movement involve? 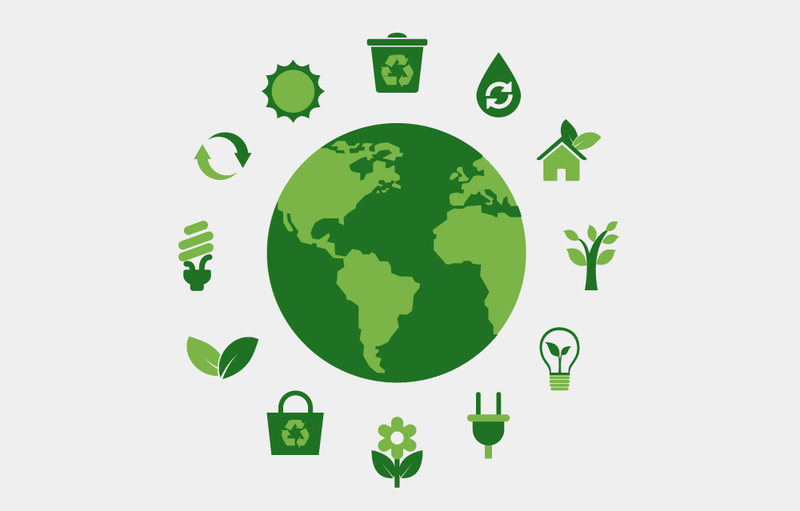 According to the interweb, Going Green refers to the decisions we make on a daily basis to help save the environment. Simply put, living a lifestyle that contributes to saving the world. Keen to give it a try? We have sourced a few simple and sassy ways you can make a difference. Slow down. We could all do with a slightly slower pace in life. Driving at a slower speed uses less fuel. Bought a gift? Wrap your gifts in newspaper or fabric. Tie it all together with a ribbon – resuable and prettier than paper. Join a local library or book club instead of buying new books. Clean the back of your fridge. Dusty coils can increase energy consumption by 30%. Start a compost heap to reduce the waste you send to landfill sites. Get moving. Walking or cycling instead of driving not only reduces the amount of fuel used but gets you into great shape too! Local is ‘lekker’ – buy local food so that energy is not wasted on transportation. Give your garden a good breakfast; coffee grounds and eggshells are ideal for composting. Fill your garden with gorgeous home-grown blooms to give your friends freshly cut flowers rather than buying flowers from your local store. Switch to showering. Have a quick shower instead of a long bath to help save water. Reduce. Reuse. Recycle. Make use of your local recycling facilities who will handle reusable waste responsibly. Never discount the impact that your simple decisions make. Every one of us can make a difference. Give it a go – what have we got to lose?